Ready to try the Study Smarter Method? Check out the e-book to get started. Are you tired of spending hours on end reading through domain material, taking notes, highlighting, re-reading, and grinding through practice tests? 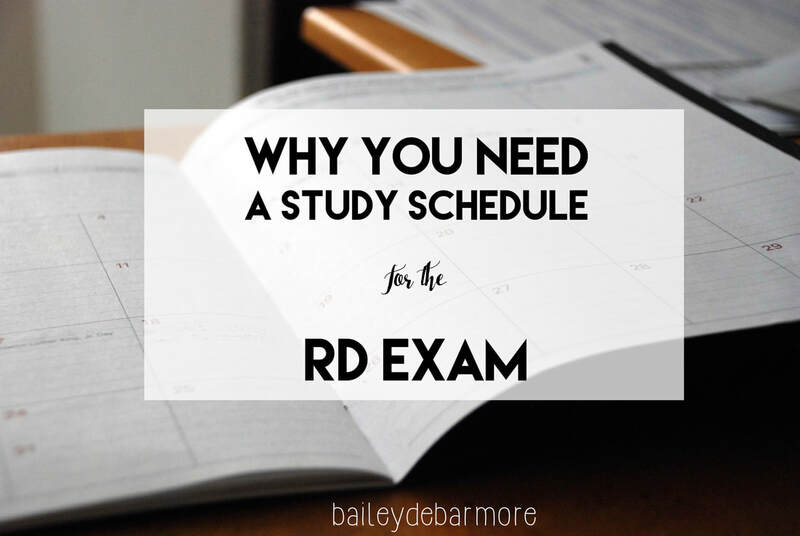 Are you tired of a study regimen that seems endless and that leaves you exhausted and unsure if you even know the material? If so, then the Study Smarter Method is for you. Whether you've never taken the RD exam, or you've taken it many times, you can use my Study Smarter Method to learn how to let go of your old study ways and learn to study efficiently and effectively. Working full or part-time? Still in school? My method can be adapted to fit your schedule. Keep reading to learn more about the Study Smarter Method. The first stop on most people's RD2Be journey is Jean Inman, whether provided by their internship for free, passed down from older students, or recommended by word of mouth. A staple in the RD exam studying journey, its commonality outshines its usefulness. If you're a first-time test taker, let me point you to more comprehensive study guides that will provide you with the content you need to start studying for the exam, in a format that will facilitate effective studying. I also encourage you to use my topic sheets to start training your brain on how to study efficiently. 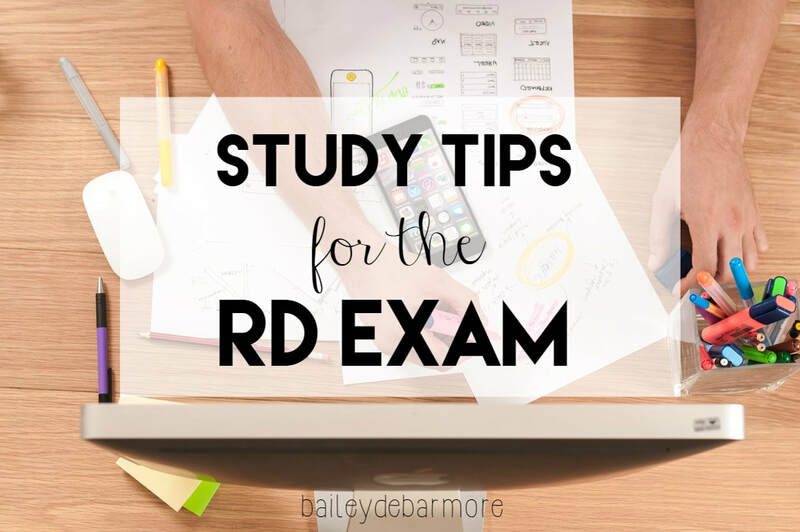 ​Read through my blog posts aimed at studying for the RD exam and sign up for my newsletter to get exclusive discounts on resources as well as study tips and encouragement delivered to your inbox. Then after reviewing the material, utilize my Study Smarter Method to develop your critical thinking skills, which combined with your content knowledge, make you a powerful force to go up against the RD exam. Not a first time test taker? So, you've taken the exam and you didn't pass. That's discouraging, isn't it? But the fact that you're HERE means that you're not giving up. Which is awesome. You've (hopefully) reviewed the exam material at least twice, and so in my book, you're ready for the Study Smarter Method. Let's beef up those critical thinking skills with active learning and the Study Smarter Method. Does the Study Smarter Method work? Over the past year, I've tutored 12 students from a range of backgrounds with a range of needs. Some had never taken the test, some had taken it 6 times. Read what previous students have had to say. All of my 12 students passed their exam after using my Study Smarter Method. I learned that one size doesn't fit all, and I adapted my Study Smarter Method to that. While I no longer offer tutoring services, you can still benefit. ​If you feel like you never learned how to study, or you simply struggle with test taking, this method is for you. ​Traditional study methods include reading and highlighting and re-taking notes and then doing practice questions to see if you've learned it. There are so many problems with that. Not only has research shown that reading, highlighting, re-taking notes, and re-reading are possibly the most inefficient study techniques, but the level of practice questions found in study guides aren't complex enough to prepare you for the test. 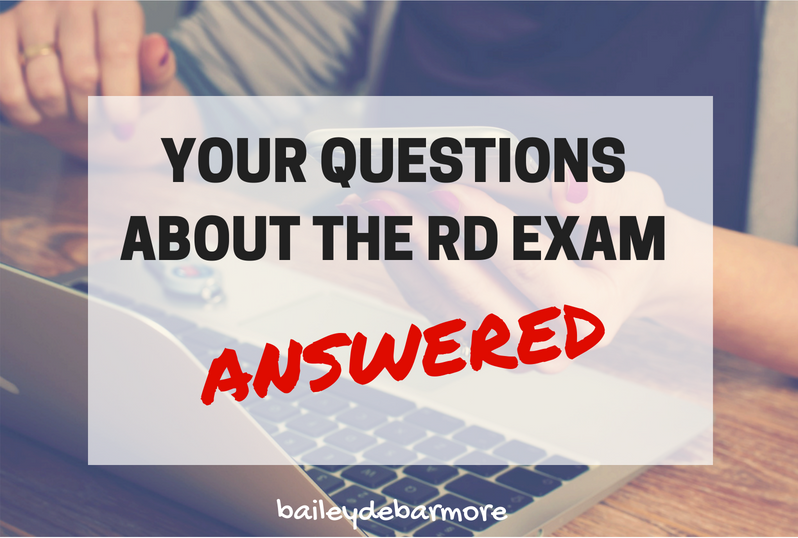 If you've taken the RD exam before, you might remember seeing a question and thinking - what are they asking? I don't even know where to start! That's because the questions on the exam require you to pull in knowledge from MULTIPLE areas. See the picture to the right. If you read up on your lab values, and answer questions on lab values, but then you get a test question that asks about a patient with kidney disease, on enteral feeds, and you have to assess their lab values, you only have the knowledge for ONE of those 3 parts in that single question. The Study Smarter method trains your brain to see concepts as interconnected webs. Nothing is learned in isolation, and nothing is dependent solely on whatever material you are studying from. When you're studying kidney disease, you'll ask yourself - what lab values might I expect to see in this patient? And more importantly - WHY? Neurons are composed of the cell body, dendrites and axons, and myelin. Dendrites interact with synapses at the end of another neuron's axon. Using active learning techniques leads to neuron growth, meaning dendrites and axons are closer together, and transmit information easier. Working your brain even more, and you'll get myelin sheaths covering your neuron's axons, which makes your retrieval that much faster. Along with developing (or improving) your time management and information organization skills, you'll also learn active learning techniques that make your study sessions both effective and efficient. 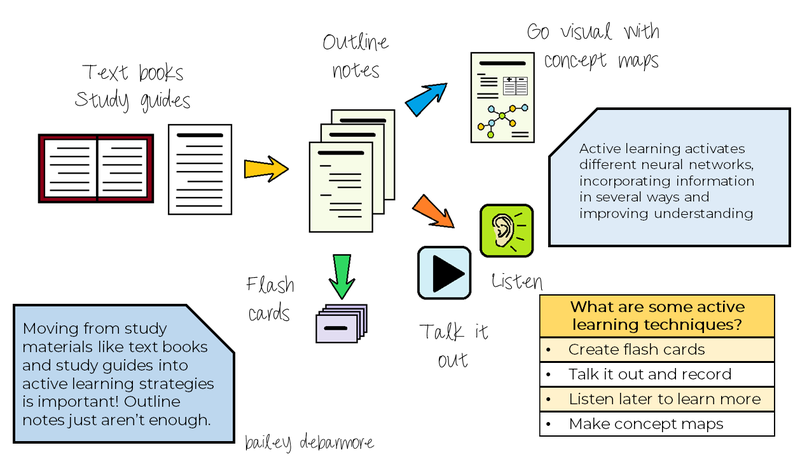 You can learn more about these active learning techniques here, but in a nut shell, your brain processes information differently when you read, draw, connect, talk, and listen. Making your brain work in these different ways makes your brain LEARN the information in a more complete way, which translates to knowing how to answer questions on exam day. Learning the information better makes the Study Smarter Method more effective than traditional methods. Combining these active learning techniques with a structured study routine makes the Study Smarter Method more efficient - learn MORE and learn it BETTER in less time. No more 8 hour study sessions. No more flashcard drilling and never-ending reading after work. You'll have defined study sessions and when you've finished your tasks, you're done! For content, I recommend the Hess study guide, "Review of Dietetics". The Breeding & Associates study guide also has good content, though the flashcards are unnecessary and the price point is higher. For practice questions, like those used in my Study Smarter Method, I recommend the CDR Practice Tests. You get 125 questions for $60, with both online and paper access. You can also sign up for a free 3-day trial of the eatrightPREP online study guide. These are my absolute favorite study supplies. They've withstood the test of time as I've moved from undergraduate to internship, RD exam, and graduate school. These double sided highlighters have the best colors, don't bleed, and work well for general highlighting, as well as diagrams. The narrow side is even great for writing. Pilot Frixion pens erase perfectly every single time and come in lots of colors! Make sure to get these retractable click ones (and not the ones with the eraser on the cap). Avoid buying new pens every time and stock up on pen refills. Having a set of white and color index cards is perfect for active learning exercises. Use the white cards for concepts, definitions, practice questions, and use the color cards as directions - pull one card from each deck, and go! Example directions include "draw it out", "draft a case study", "make a connection", and more. 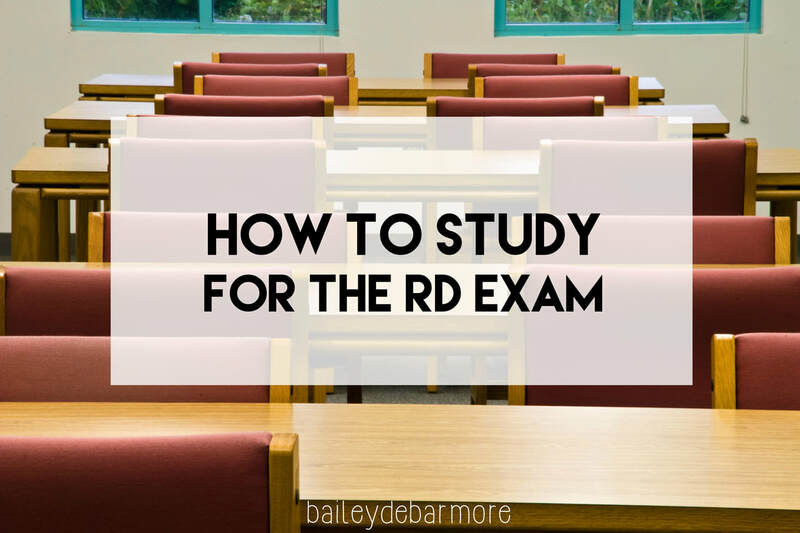 Over the years, I've written several blog posts on studying for the RD exam. Many of these tips are summarized in my Study Smarter Method E-Book and applied in my content-specific RD Exam study guides. Click the image to go straight to the post. Comments, questions, and requests always welcome. This page contains affiliate links, which means if you purchase a product through the link, I receive a small amount of payment. If you have any questions, please don't hesitate to contact me.